The past six years have been a boom time for craft beer on the North Shore. In that time at least eight microbreweries and brew pubs have opened in communities from Evanston to Lake Bluff, and Ravinia Brewing Company is slated to open later next year in Highland Park. There’s even locally brewed hard cider now, with the opening of North Shore Cider Company in Evanston. Lake Bluff Brewing Co. is the forerunner, opening in 2011 after co-owner Michael Dorneker was advised to open a brewery someplace he loved. 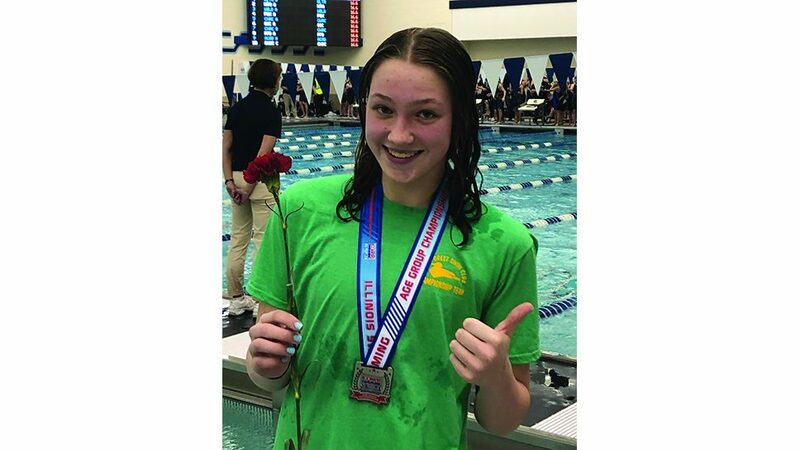 “I think that was the best advice anyone has given me, because I love the North Shore,” Dorneker said. Since opening, the brewery has undergone a complete renovation and expansion, creating more seating in the taproom. It also recently won a bronze medal award for its Kosmonaut beer — a Russian Imperial Stout-style beer aged in whisky barrels — at the 2016 Festival of Barrel Aged Beers. “That beer in general has been a very special beer for us,” said Dorneker, who also serves as the brew master. That same beer won a gold medal in the 2013 U.S. Beer Open. All of the beer served at Lake Bluff Brewing Co. is made on site, with new recipes on offer monthly, with the exception of four flagship brews always on tap. “We try to have two new beers every month,” Dorneker said. Artist Mark McMahon painted a map of the North Shore highlighting brew pubs and microbreweries that have opened in recent years. 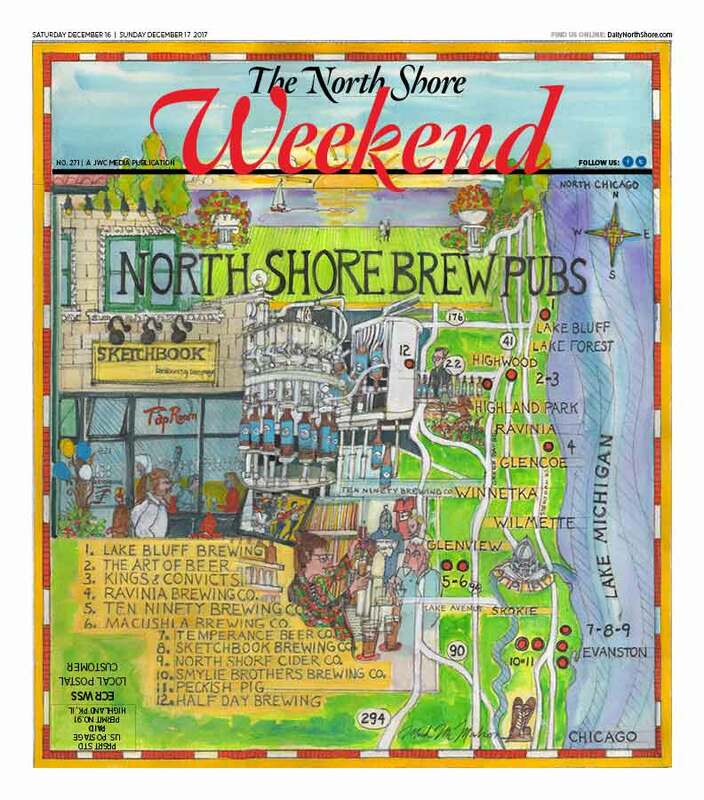 The map ran as the cover illustration for DailyNorthShore sister publication The North Shore Weekend. PAINTING BY MARK MCMAHON for JWC MEDIA. The craft brewery movement is a national trend that has landed locally in a big way. In 2016 there were more than 5,200 craft breweries in the United States; that number has more than doubled since 2012, according to the Brewers Association. By definition each craft beer is unique, and taprooms are the perfect spot for enthusiasts to try something new. “The over-arching theme that is driving craft beer around the country is the innovation you can find in taprooms. These are the proving grounds for new beers. Beer enthusiasts are traveling to taprooms more than ever to find a sense of community supplying local, fresh, unique beer,” said Brian Schafer, founder and co-owner of Ten Ninety Brewery in Glenview. Ten Ninety was started in 2013, eventually selling six packs of bottles at stores such as Heinen’s, Trader Joe’s, Whole Foods, Binny’s Beverage Depot and Mariano’s, according to Schafer. In 2016, Ten Ninety opened a 91-seat taproom adjacent to its brewery in Glenview, where customers can choose from 20 draft beers. Schafer said they are putting in a kitchen, which they plan to open sometime in 2018. Many believe the rising popularity of microbreweries on the North Shore and across the country is in tandem with the buy-local movement. “I think breweries exemplify the local movement better than a lot of industries. Craft breweries gained traction in parallel to a growing desire for local products,” said Mike Welch, owner of Macushla Brewing Company. 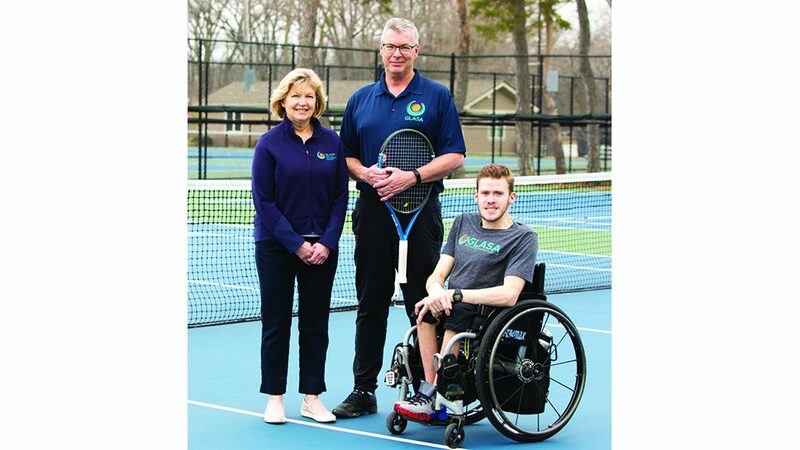 Welch opened Macushla with his wife, Megan, next to Hackney’s On Lake in Glenview. The craft brewery is inside what was once the Hackney’s laundry facility — a small outbuilding next door to the restaurant where all of its linens were once washed. Welch is the grandson of Hackney’s founders, and he spent much of his childhood working at the business. Macushla features a 48-seat beer garden with communal tables, as well as a 34-seat taproom inside where — in addition to an assortment of beer — food is served from the Hackney kitchen. They plan to sell four staple beers on tap year-round, while offering a rotation of eight seasonal brews. Welch described Macushla as primarily a taproom where customers have the opportunity to taste and buy its beer. “For so many breweries right now if you don’t have a taproom, it is tough to get your beers on the shelf,” Welch said. Evanston is becoming a bit of a hotbed for craft brewing. Temperance Beer Co., which claims to be Evanston’s first and oldest craft brewery and taproom, opened in 2013. Enthusiasts can taste its beer served in flights, half-pints or pints at the brewery’s warehouse taproom, or they may opt to take some to go in a growler (64-ounce) or howler (32-ounce). Sketchbook Brewing, founded in 2014, opened a cozy, 25-seat taproom in Evanston in 2016, where customers can taste some of the 14 beers on tap or choose from six beers to go in bottles. Pekish Pig, opened in March 2014, claims to be Evanston’s first brewpub — brew pubs brew their own beer onsite but also serve food. Soon after, Smylie Brothers Brewing Co. opened a large brewpub in downtown Evanston in December 2014. And 2017 has turned out to be a banner year for new breweries up and down the North Shore. There’s the aforementioned Macushla, which opened in September. Kings & Convicts Brewing Co. opened a taproom in Highwood in May 2017, a town the brewery promotes as the “toughest town in America,” quoting from Teddy Roosevelt. Opened by an Englishman and an Australian, Kings & Convicts brews ales and pilsners utilizing hops and malts from the U.S., Australia, New Zealand and England. “We put so much more natural product into our beer. We use more hops and different grains,” said Brendan Watters, co-owner of Kings & Convicts. While not quite craft beer, North Shore Cider Company opened its doors in early 2017 in Evanston, using Michigan apples and pears to make hard cider. The company has a taproom where customers can taste the cider, as well as purchase growlers and bottles to take home. Ravinia Brewing Company is slated to open a brewpub in March or April of 2018 on the site that previously housed Ravinia BBQ & Grill at 594 Roger Williams Avenue, in Highland Park, serving craft beer brewed on site as well as a full restaurant menu. Stuart Conlon, who works at the Wilmette Wine Cellar, has already stocked its fridge with one of Ravinia Brewing’s beers. “I go to taprooms and pick up beers we don’t carry to see what is new and good and what will work for our customers,” Conlon said. The store has a cooler dedicated to local craft beer, which North Shore residents tend to favor. “With American craft beer there are no rules. You can make whatever you want. People really like the variety,” Conlon noted. While there has been some talk of market saturation, owners of North Shore breweries remain optimistic. “We are under penetrated in Illinois still,” Watters said. “There are a lot of young people that want something that is authentic and done locally,” he said. Watters sees craft beer as a movement that is changing the way people drink beer. “Craft beer is more than product. People want the experience. It not just about drinking a beer, it’s about telling a story,” he explained. Roy Hernandez, owner of The Art of Beer, a retailer in Highwood that features a taproom focusing on local, craft beer, believes there is still room to grow. “Every neighborhood will have a brewery. It’s more of a renaissance. We are recovering from the damage of Prohibition,” Hernandez said. Indeed, well before Prohibition the United States topped at over 4,000 breweries in 1873, but later hit a low point of fewer than 90 in 1978, according to the Brewers Association. Since then the numbers have been steadily rising across the nation. Dorneker attributes people’s quenchless thirst for craft beer to the tastiness of the product. “I think people’s pallets have evolved,” he explained. “There are more and more people who try it, and it is a no brainer once they’ve tried a quality product,” Dorneker said.